The 2017 Voksi® Classic collection is here – Voksi® Classic+ Forest. Soft and smooth colours are combined with a handmade pattern by our Head of Design Ida Ising. The Voksi® adventure started with the Voksi® Classic and now – 30 years later – we are proud to offer sleeping bags that still contain many very smart features. In 2014 Ida Ising became part of Voksi®, which resulted in Voksi® Ida Ising changing bags. Soon Ida Ising became Voksi’s Head of Design and immediately started to work with our designs in a fantastic way. Voksi® Classic+ Forest is a collection of four different colours which all have one thing in common: The Forest pattern. The NEW Forest pattern is designed by Ida Ising and inspired by the deep Scandinavian forests. The Voksi® Classic+ is a perfected version of the Voksi® Classic. Voksi® Classic+ is redesigned and now comes with pre-cut holes with thermal bridge with wool filling, new leather details and the new Forest print inside. The pre-cut and reinforced holes for harness are now covered with protective flaps with wool filling to prevent loss of heat. The holes for the strings are reinforced with imitated leather. 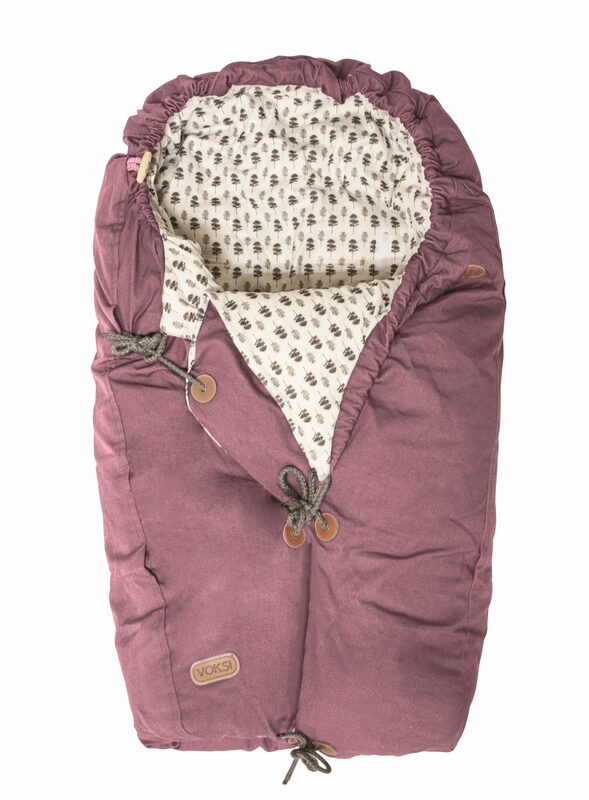 Voksi® Classic+ can be used everywhere – as a multi functional sleeping bag, a duvet, a play blanket, or as a carry cot with carrier board (accessory). Produced with Oeko-Tex 100 approved materials and 100% wool in the filling, the Voksi® Classic+ is will keep your little ones warm and cosy during the winter season. The Voksi® Classic+ Forest will be available in four exclusive colours. Which one is your favourite?